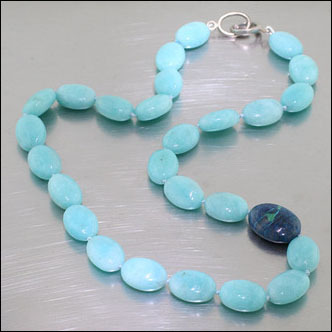 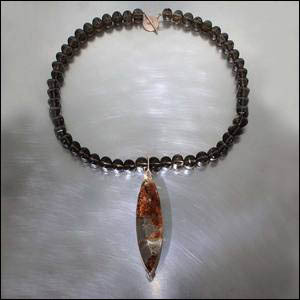 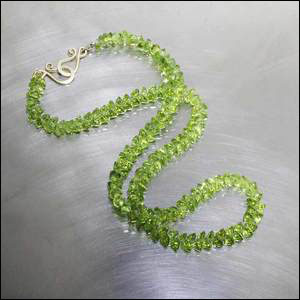 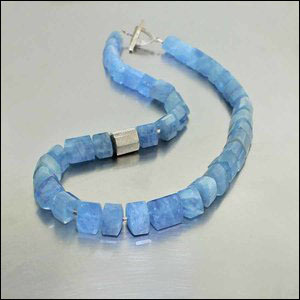 Gemstone beads are a great way to add some color and/or sparkle to your wardrobe. 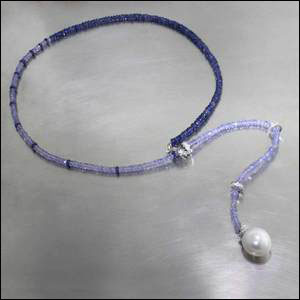 Almost any gemstone material you can think of (diamond, amethyst, spinel, garnet, sapphire, labradorite, aquamarine, turquoise, tourmaline, peridot, etc.) 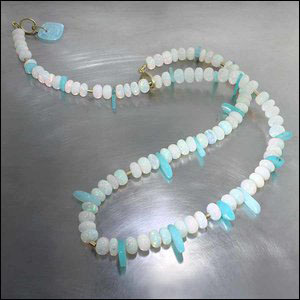 can be cut into bead shapes. 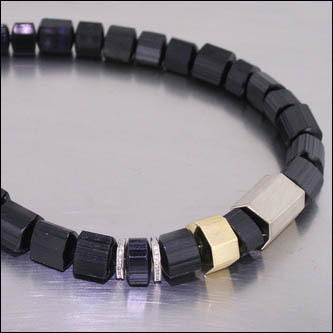 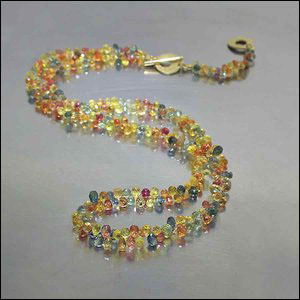 We also love all the varieties of bead shapes like briolette, rondel, smooth, pebble, faceted...you get the idea. 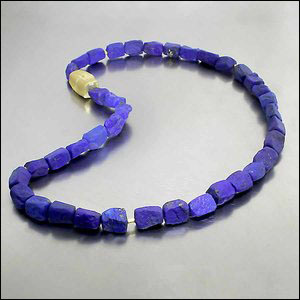 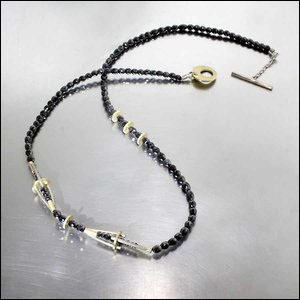 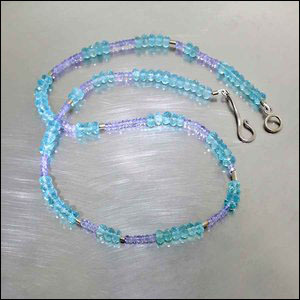 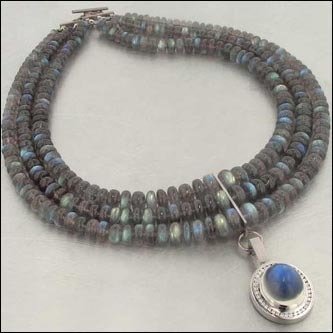 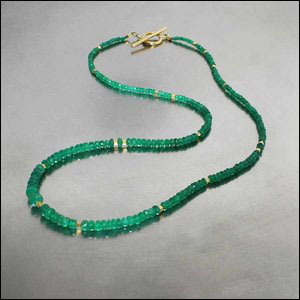 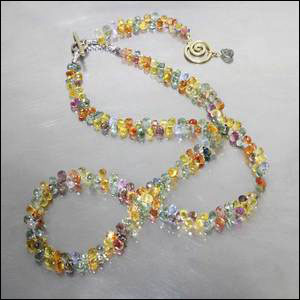 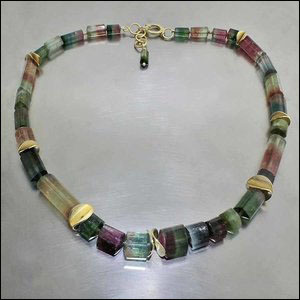 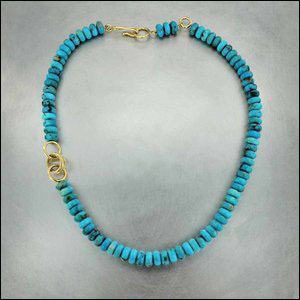 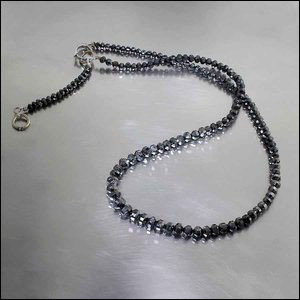 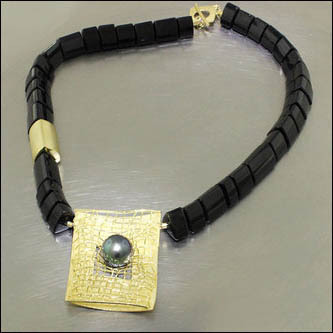 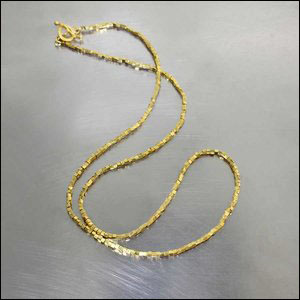 This gallery pictures necklaces we've made in the past, but please click here for available bead strands.